If you are going to buy a bicycle, then you had better make it a hybrid even if you intend it to be for everyday use. Even if you use your bike to ride to work, school, and grocery store and around the neighborhood most of the time, sometimes, you may be hit by the urge to go off the beaten path. In that case, you would need a bike that is made for the off-road, and if you only have a town bike, then you would have to buy a new off-road bike. However, if you have a hybrid bike, that need not be the case at all. For the off and on road cyclist, a hybrid bike is the next best thing to happen after the discovery of fire. This is a bike that has been made as a cross between road bikes and mountain bikes. This aspect makes hybrid bikes great for different kinds of uses. Unlike other bikes, hybrid bikes come with a lot of features. What Is Special About A Hybrid Bike? As mentioned earlier, hybrid bikes are designed for use in commuting as well as riding on the less defined trails. Most people prefer using hybrid bikes in case they are riding on relative rough terrain because they are more comfortable than when on mountain bikes. Unlike mountain bikes, hybrid bikes have an upright riding position, which enables the rider to have a good view ahead without straining. Another special feature about hybrid bikes is that they come with flat handlebars, and this is quite different from road bikes. As you know, road bikes have drop handlebars. The good thing about hybrid bikes is that they come with different wheel sizes. You can find them in 26 inches, 27.5 inches and 700c (28 inches) wheels. If you are planning to ride on smooth trails and roads then you should choose a hybrid bike that has bigger wheels. In fact most people prefer bigger wheels since smaller wheels are not convenient in tight turns. If you love bikes with gears, then you can opt to buy a hybrid bike. These special bikes come with derailleur gears and some higher-end hybrids have hub gears. The good thing with hybrid bikes is that they have a wide range of gears that come in handy when riding on and off the road. 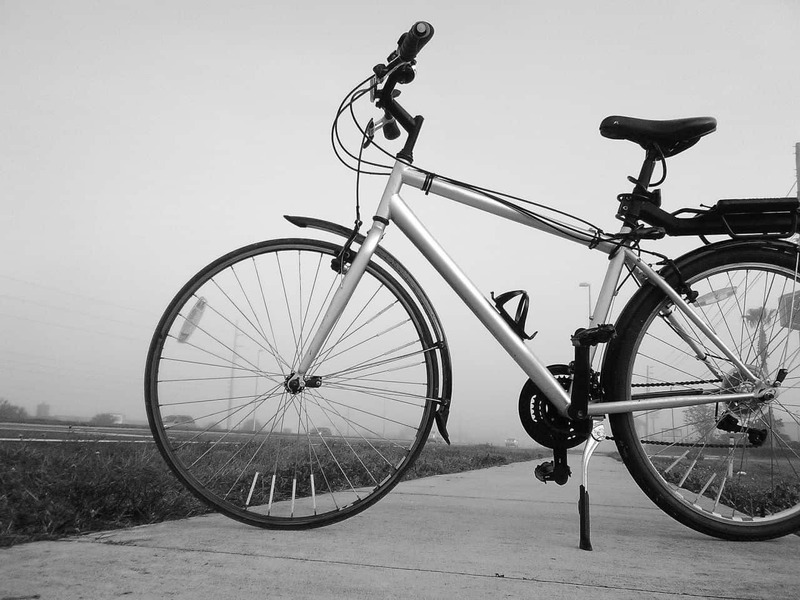 Hybrid bikes are designed for different types of riding, which makes it essential for them to have fenders and racks. When buying a hybrid bike, you will note that it comes with room for luggage racks and mudguards. If you do not mind riding in wet weather, then you will need to buy high quality mudguards since they will keep you clean as they prevent the splashes of water and mud getting to you. Hybrid bikes are also great for people who love long distance riding. This is why they come with spaces where you can fix bike panniers and luggage racks. There are hybrid bikes for men and women available in the market. If you are a man, you can check out these cool bicycles for men. In fact, there are hybrid bikes available for different ages of riders based on their genders. So, you can choose yours accordingly.